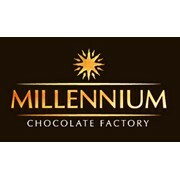 "Millennium" is a factory, wher chocolate becomes art. It was founded in 1999. Today is one of the largest manufacturers of chocolate and candies in Ukraine. It produces Candies & Chocolates under the trademarks "Millennium", "Lubimov", "Oskar le Grand", "Lubimov Kids" and "Zolotoi Zapas"
Our factory is the only one who received a license right to release and produce sweets for children under the trademark "Disney" in Ukraine. We put our heart into chocolate that it is felt even at the taste level, not to mention the quality. Therefore our factory has become a supplier of products manufactured specifically for the Kiev-Pechersk Lavra (with taking into account the requirements for fasting and holidays). We inspire and are inspired by the art of chocolate and want you to feel it, buying every stick of chocolate or a candy box. Our masterpieces are wonderfully suited for lovely memories of the most delicious moments of your life.